Routine maintenance is HIGHLY recommended by AutoCade. Mon-Fri..........9 a.m. - 6 p.m. Sat..........9 a.m. - 4 p.m. Routine maintenance is HIGHLY recommended by AutoCade even though it sometimes can be a difficult task to keep up with. There can be serious implications of not staying up to date on your car's maintenance schedule. Having suggested routine maintenance done at the correct intervals per the manufacturer's specifications is imperative in order to keep your vehicle running properly and extending it's life. We recommend that you always do proper maintenance and don't procrastinate about doing so. Procrastinating or failing to take care of your vehicle by not having it regularly maintained can lead to much higher expenses down the road. Sometimes your car is trying to tell you something. 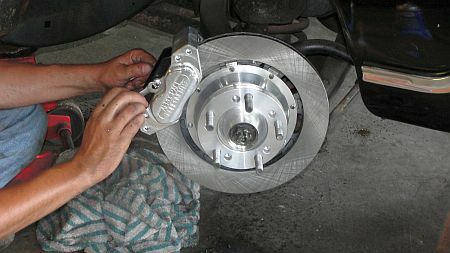 Things such as squeaky brakes left untreated can lead to much worse problems such as brake failure that can lead to serious accidents. The following guidelines are the approximate intervals many car manufacturers suggest auto maintenance services should be performed. Always refer to the vehicles owner's manual or contact the manufacturer for the particular service and intervals required. We can perform any type of service or maintenance your car needs. Change your oil every 3,000 miles for regular, 5,000 miles for synthetic oil. Check your tire pressures approximately once a week. Low tire pressures can affect fuel economy, handling and comfort. To accurately measure your tire pressure, check tires when they are cold. Wait at least three hours after driving. Check your spare tire each month and keep it properly inflated so it's ready to go when you need it most. Subscribe: © 2010 AutoCade Inc.